Vintage Golden Honey Hobnail Glass Votive with Peg. Amber Votive Holder fits any candlestick a taper will. Beautiful Amber Vintage glass can hold several types of Candle, most often are a Votive, Tea Light, LEDs or Taper. 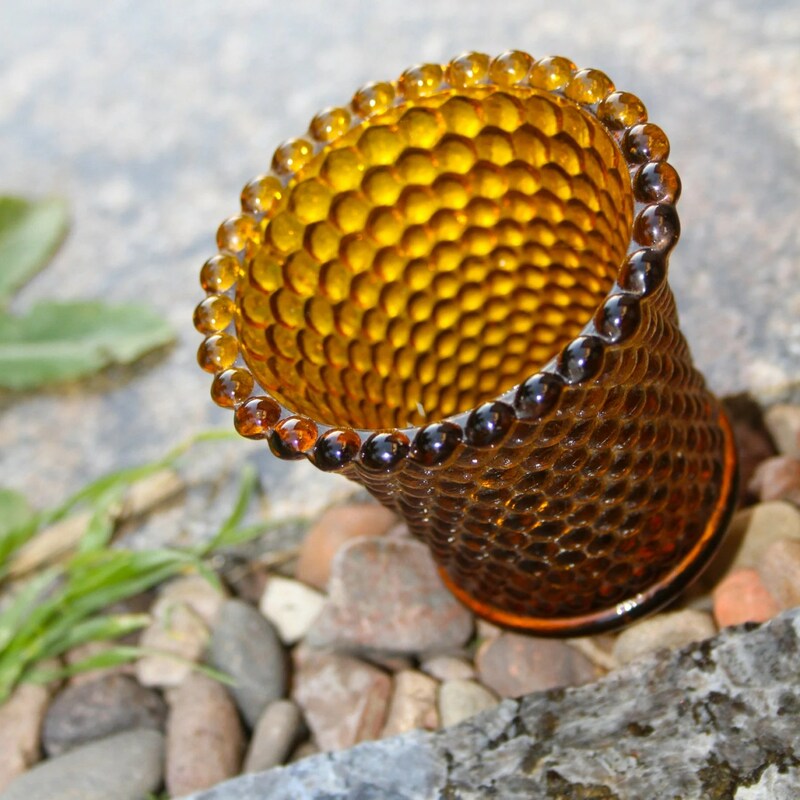 Glass Hobnail creates a unique light pattern, and the amber color gives off a warm light, with a gold hue. Chandeliers, candelabras, and wall Sconces are the most popular uses because the peg leg fits securely into the bases. They are also great for outside lighting since the cup protects the flame from the wind. Many different varieties, if there is a particular Votive holder you are interested in, please contact me. I have many different styles and colors. This entry was posted in http://feedproxy.google.com/~r/JujubefunnyFinds/~3/tSRyAi1IsfE/amber-hobnail-glass-peg-votive-candle1384646491 and tagged IFTTT. Bookmark the permalink.